The most wonderful campsite and resort in Denmark. We offer camping and cabins of outstanding quality. See our different accomodation types here and be inspired by our many activities and attractions. 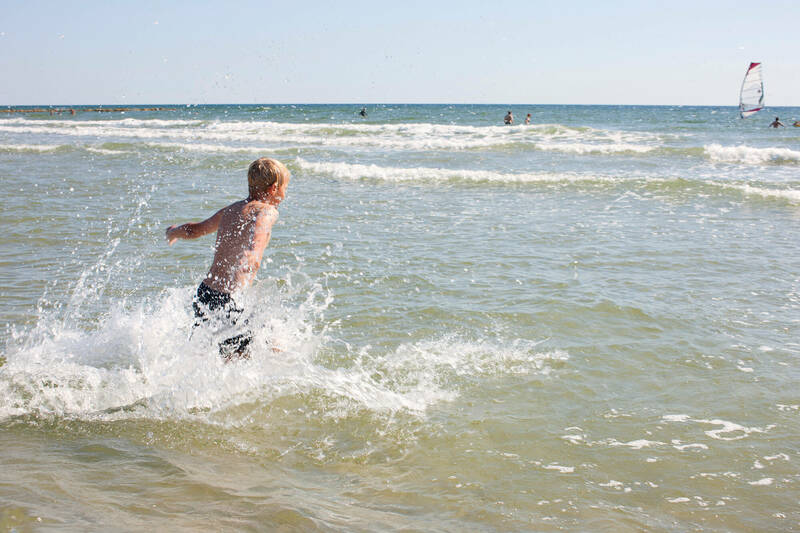 Blåvand is in the middle of the largest recreational area in Denmark with over 40 km of white sandy beach. The area is flat, beautiful and magnificent. Besides the wonderful North Sea, we can offer a lot of activities and attractions for the whole family on as well as outside of our campsite. The camping season is right around the corner. Have a look at our many camping offers and be inspired for your next camping holiday. Spend your next vacation in one of our gorgeous Fisherman's Cabins with posts firmly placed in our lake. There is room for 4-6 people and you can book a cabin with a private jacuzzi. Did we forget to mention that your dog is welcome? Read news from and about us here. Book your holiday through our online booking. Subscribe to our newsletter and get updates on juicy offers, new initiatives and other relevant information for you, who are interested in holidays at the North Sea.